There are a variety of quality control microscope options and depending on your specific needs, this post should help sort out the options. A dual power stereo quality control microscope. 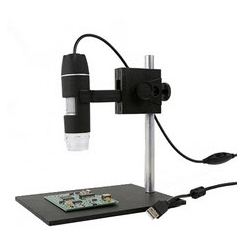 A stereo zoom quality control microscope. 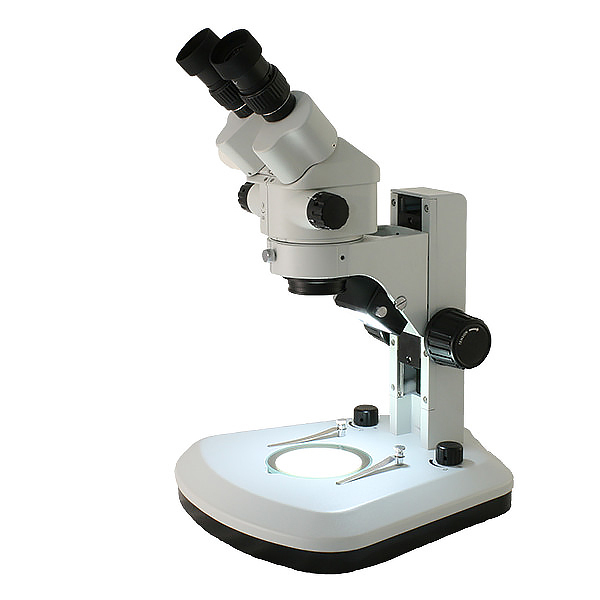 With a dual power stereo microscope you will view two set magnifications only. These microscopes are less expensive and the most commonly purchased microscope have 10x / 30x magnification. At 30x your field of view is about 15mm and you would be able to identify flaws that are 1-2mm in size. If you are looking at smaller samples or defects a 15x / 45x microscope is a good alternative. A stereo zoom quality control microscope is going to provide a lot more control over the magnification. A good magnification range is 7x-45x. This range can be increased even further with higher magnification eyepieces or an auxiliary lens. This magnification chart shows some of the magnification range options of a stereo zoom microscope when different eyepieces or auxiliary lenses are used. When viewing larger samples a stereo boom microscope will provide extra working space beneath the microscope. These microscopes typically use either a dual pipe light or an LED ring light to flood the working area with light. Again, the magnification range of 7x-45x is typically plenty for quality control inspection. There are several types of boom stands used in industrial settings. 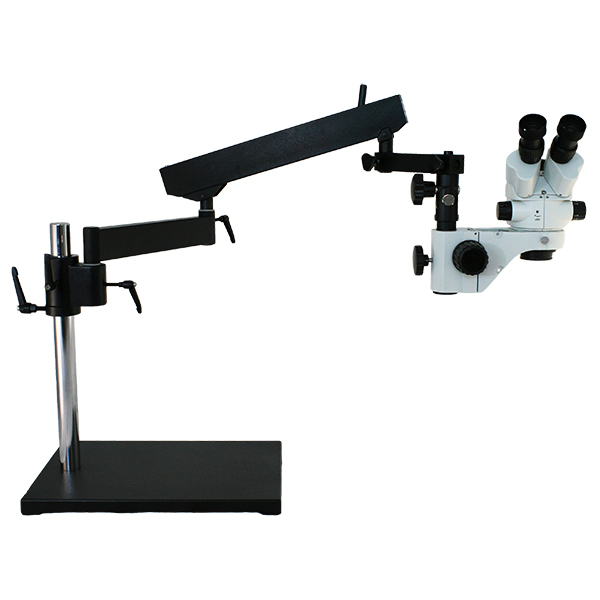 The articulated arm microscope (shown at left) provides a lot of options for exact positioning of the microscope body above the sample. Another type of inspection microscope for large parts is a standard boom stand microscope, or a ball bearing boom stand microscope. The ball bearing boom stand microscope is used when the head of the microscope needs to be slid out of the way frequently. There are several options for handheld inspection microscopes. The most common handheld inspection microscope is also known as a shop microscope (shown at left). This microscope has a single magnification and a built-in eyepiece reticle for making measurements. The handheld inspection microscope is placed directly on top of the object that needs to be viewed and when looking through the eyepiece the ruler is imposed directly on the sample, making it easy to quickly make measurements. The other type of handheld inspection microscope is a digital inspection microscope. This microscope does not have any eyepieces to look through, instead all images are displayed directly on a computer or laptop. The included software allows image capture, making measurements and adding annotations to images. The digital handheld inspection microscope is perfect for documenting quality control issues and emailing images for co-worker inspection. If you have a specific quality control microscope system or process you are trying to meet, contact Microscope World for a solution.